Hormone Replacement Therapy (HRT) can involve both oestrogen, progesterone – taken in the synthetic form known as progestogen or progestin – or both hormones. For many women who have experienced a natural menopause and have not undergone a hysterectomy at any point in time, they will take a combination of the two hormones. There are, however, risks as well as benefits, which means that careful consideration of the therapy is important before choosing to go ahead with the treatment. HRT was developed to replace the hormones that a woman's body loses due to the menopausal transition. The hormones that can be replaced include oestrogen, progesterone or both. Oestrogen that is used in HRT is sourced from plants or from the urine of pregnant horses. 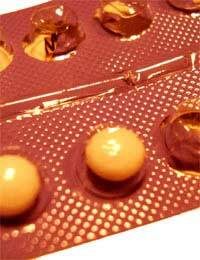 It is not as strong as the oestrogen you may have taken in a contraceptive pill. As previously mentioned, the progesterone used is a synthetic form called progestogen or progestin. The female bodily readily accepts this form and absorbs it quite well. Why Take HRT for Women's Health? Oestrogen plays an important role in functions of your body such as keeping skin healthy, maintaining vaginal moisture and encouraging bone formation. When your oestrogen levels begin to decline, you will likely begin to experience the symptoms of menopause. Progesterone doesn't have as significant of a role as oestrogen, which means that its decline does not cause the majority of menopause symptoms. However, when your progesterone levels do begin to decrease, you will experience a higher risk of endometrial cancer. For this reason, you might choose to take HRT that involves both oestrogen and progesterone. For women who still have all of their reproductive organs, they may choose to take a combination oestrogen/progestin therapy to relieve their menopause symptoms. Symptoms such as hot flashes, mood swings, night sweats, vaginal dryness and others can be relieved to some extent by this combination form of HRT. In addition, the progestin helps to balance out hormones and offers some protection against endometrial cancer. Oestrogen in the treatment also plays a vital role in bone metabolism, which means it offers some protection against bone loss and osteoporosis. All HRT comes with significant risks but the combination therapy should be taken only after careful consideration of your own risk factors. When taking this kind of HRT, your risk of stroke, breast cancer and other health conditions will increase. The risk can be lessened somewhat by taking a shorter course of the hormone therapy of less than five years. Women who take it five years or more – particularly at the ten year mark – will be more likely to suffer from one of the associated conditions. Typically, monthly HRT works best for a woman who still has regular periods, but is experiencing other symptoms of menopause. Three-monthly HRT is more appropriate for women who are experiencing irregular periods. Another option for women who wish to take HRT is continuous HRT, which is usually best for women who are in the postmenopause phase. Women who are on continuous HRT will take both oestrogen and progesterone. Your hormones play many important roles in your body but as your female hormones decline during menopause, you may want to take a treatment to relieve menopause symptoms. The hormones in combination HRT may be appropriate for you, once you have spoken to your doctor about your risk factors and personal health. You can feel fortunate that there are many options available to relieve menopause symptoms – whether you choose therapy with hormones or a natural, alternative treatment.